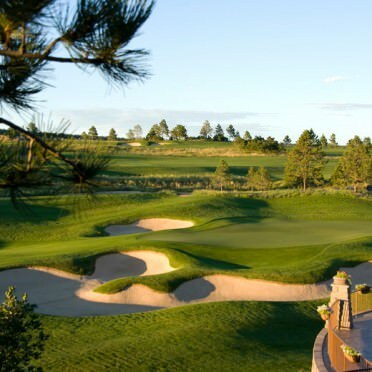 The Club At Flying Horse in Colorado Springs, Colorado, features 7,300 yards of Tom Weiskopf Signature design. From I-25 in Colorado Springs, take the Gleneagle Drive exit (156A). Bear right at North Gate Boulevard, and continue on North Gate Road for 3.4 miles. Turn right on Hwy 83 to golf course entrance. Dress Code: Proper golf attire is expected.